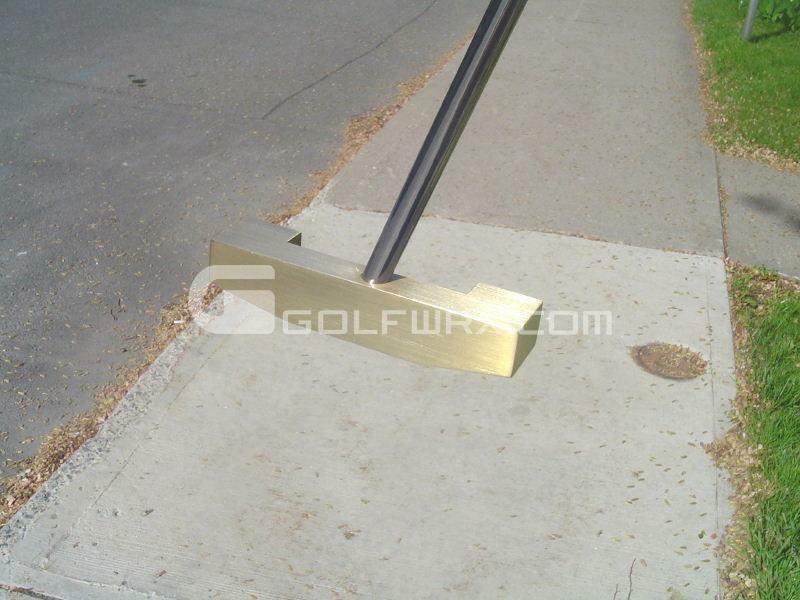 Here are the pictures of my Deschamps putter that Serge made for me. 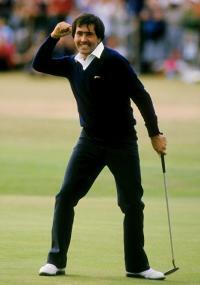 I would like to thank Serge first and foremost for having the opportunity to try one of his putters. I have to admit that Serge is the easist person to work with and his knowledge and craftsmanship is second to none. I ordered mine in a 350 gm model, and thats what Serge delivered. 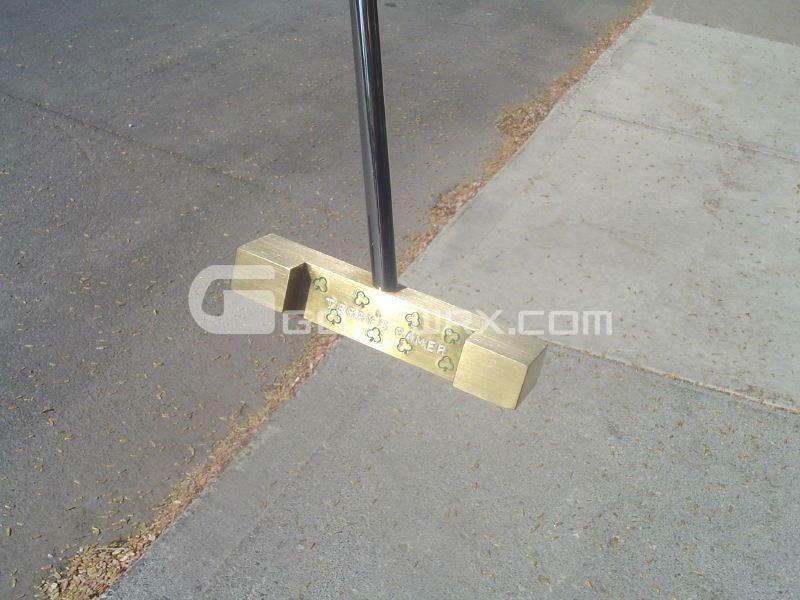 The putter rolls the ball so smoothly that you hardly notice that you have struck the ball. Distance control was easlily mastered with a few sessions on the practice green. I have to say that it is the finest putter that I have had the opportunity to use and it has become my gamer. The swingweight is D1 which for me is perfect. 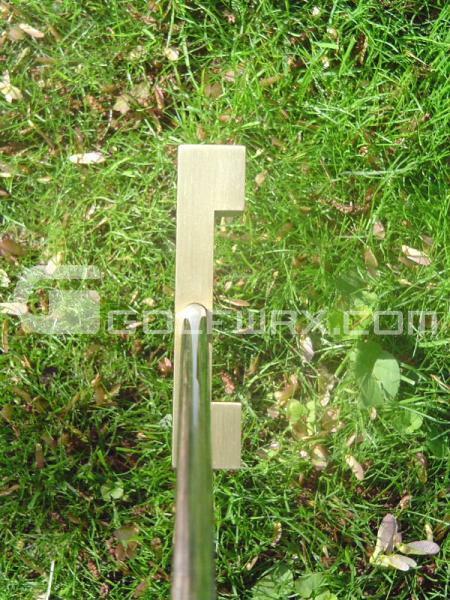 The finish on the putter is perfect, and serge proveded the necessary clothes to keep the finish perfect. All in all I am very satisfied with the putter and Serges work. 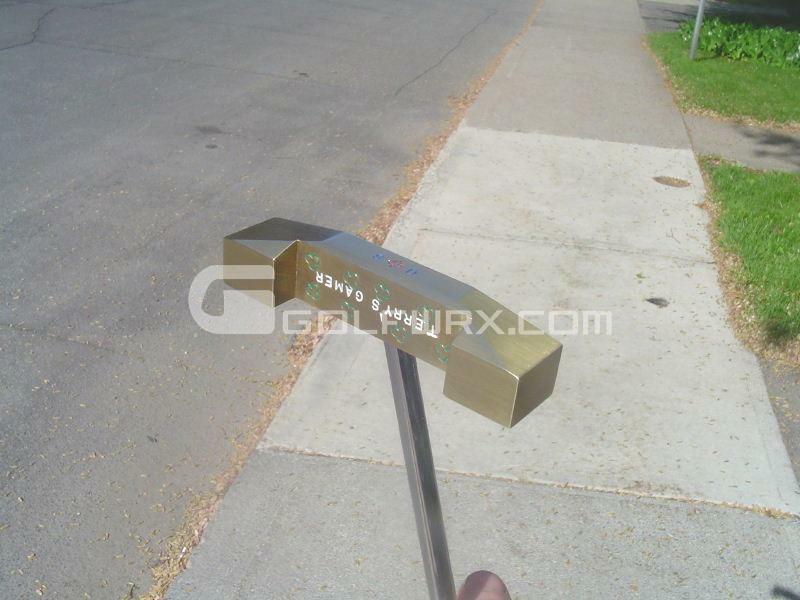 I would highly recommend this putter to anyone. 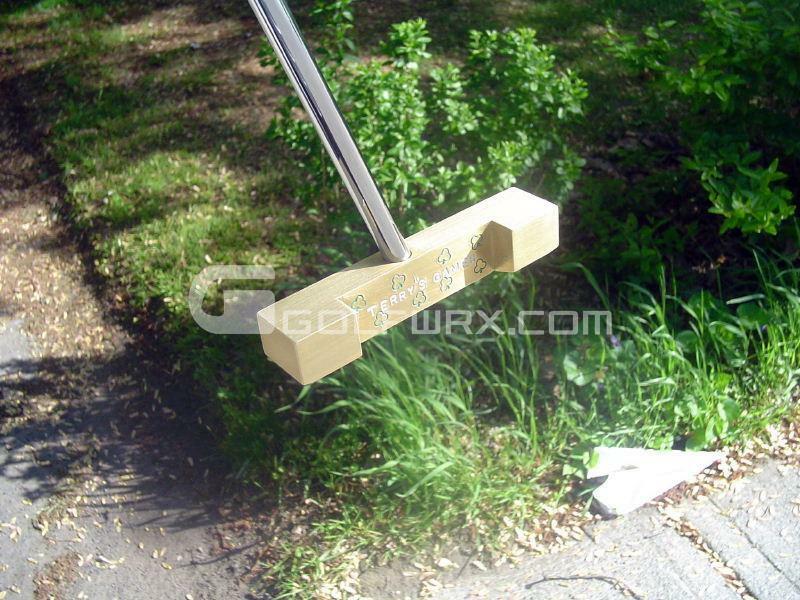 I also must add that I have never putted with a center shafted putter before and will never go to any other style of putter since I have used this. You're very welcome Terry. /drinks.gif' class='bbc_emoticon' alt=':kewlpics:' /> I'm glad you like the putter and am very happy that it has become your gamer. I just love the design, never seen something like this here in Germany. Minimalistic, almost Bauhaus- like design, yet very inspiring and unique. Congrats to both, for both owning a Putter like that and for bein able to create it. Thanks. My primary concerns in a design are weight distribution and center of gravity location. If I can get these variables the way I want them with a very simple design then so be it.